Great value on the toner for my Brother laser printer. Excellent print quality. Excellent company! Product works as expected. Works as described no errors on screen when inserted. Of all the toners I have bought from any supplier, These have lasted the longest with no issues. Overall I was very happy with the product, considering the price that was paid. It had a funny smell but other than that, it worked properly. I paid 1/4 the price I normally pay for this type of ink. These products are as good as can be. I have recommended this company to many associates of mine. The printer ink cartridge was easy to install and the printed items were much better than my worn out old cartridge. I'm very satisfied with this cartridge. It arrived on time, wrapped, completely new. The print is excellent. And the price?! Nothing beats it! I will be purchasing again. No complaints. It did what was advertised. Would buy again. Love this website.. I recommend this site to friends and clients all the time. Great Price! Arrived on time. Great product! Would recommend to friends. There is no deal around that is better than this one!!! No comparison for price difference. All the products are good quality and good prices. Toner cartridge installed easily and printouts are great. Printer is several years old and replacements are getting harder to find. Especially liked the price. Fast shipping. Highly recommend. This is a very good quality toner. The price is unbeatable and it is very similar to Brother brand toner cartridges. I will definitely buy from here again. Good value for the money. I would recommend to family and friends. Great Product, works like OEM. Recommended. Good economical cartridge, fast shipping, no problems. I have bought several of these and have had good success consistently. I love the speed of your delivery. It works well, and the price is way below retail. I only order from Ink Technologies when I need toner. Very good product and great prices!! I have been ordering this product for several years and I like the lower price for my HP and Brother printers. Good solid replacement cartridge. Would buy again. We have been buying this product and it very much fits our needs. It yields the amount of printed pages as advertised and the price is right. The product is excellently packaged, the copies are a dark and clear quality, no smudging or blurring. The shipping was excellent. No muss, no fuss. I use laser printers because they just work, and these cartridges are inexpensive and do the job. It's the same toner I would buy from the big chain stores for half price. I have bought from Ink Technologies before and was satisfied. This is the second cartridge I've purchased for this printer from Ink Technologies. The price is very good and the print quality is just as good as with an OEM cartridge. Exceptional price and value. Shipping was great. Great print quality of drum! No problems at all. Works great! Great Deal! Saves me lots of money. Finding InkTechnologies has made keeping printer supplies on hand affordable and easy. Great product at a significant cost savings. Plus free shipping on most orders (all of mine). I would recommend inktechnologies to any business owner. The products I purchase from inktechnologies.com are always priced well, work well, and arrive in a timely manner. This product is just as good as the Brother original at a third of the cost. I rated this product a five due to the quality and price. I would recommend this product to any of my friends. I shopped around, bought from Inktech, hoped it would be the right one and of good quality, no disappointment. quick delivery, great quality, value priced. 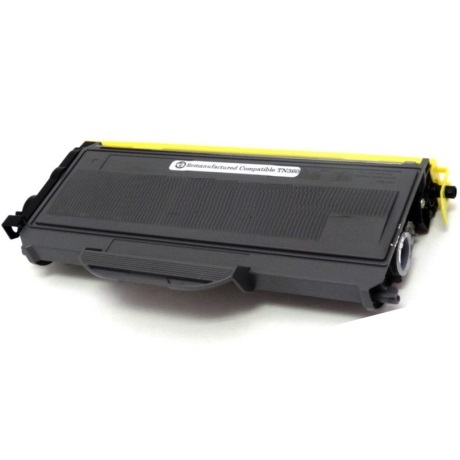 Toner for Brother MFC7340, 2,600 page capacity. Excellent toner! The print is actually darker than my previous toner (which was a Brother toner). Great Prices, good product & great service. I am happy with these compatibles, and not paying the extra by buying the original toner. The toner works really good in the printer. and the drum is fantastic. First time ordering from here and I must say, fast, easy and this product is awesome! I am used to spending a fortune for one cartridge. I definitely will be back to buy more. No problems with the cartridge. Print quality has been fine. Another excellent product from Ink Technologies. Thank you! Anything you print comes out great, we always come back to re-order from this site. We know we are getting a good deal, and a great product. Very good value for the price. I would gladly recommend this to a friend. Cheapest toner I can find, cartridges are pretty good. I found this ink to be as good as the Brother brand, which I had been buying locally. I am very pleased with the quality and shipment. This is a very good product for the price. I am very happy with the quality and performance. This is a great printer. I would recommend this printer and this website to anyone. Good product with reasonable price, I will tell all of my church friends to shop at this site. So far, I'm quite happy with the quality of the toner cartridges I have ordered. And the price is certainly good. Good product and excellent response time on the order. Good prices and a great toner. A video covering the new compatible TN360 toner cartridge, which replaces the original OEM Brother TN360 cartridge, including installation instructions. The TN360 toner cartridge contains black toner, and is rated for an estimated 2,600 pages at an average of 5% coverage. It weighs around 1.8 pounds, and slides into a separate drum unit for installation. The first step when you receive your new TN360 toner cartridge is to carefully remove it from the box. Remove the packing materials, and carefully open and discard the bag, leaving the protective cover intact. Rock the Brother TN360 cartridge back and forth a few times, which helps to distribute the toner evenly, then pull off the protective cover by prying one end outward. Turn off your printer by pressing the power button, and open the front panel for access to the drum unit and cartridge. Grip the small handle and remove the entire assembly. Set the assembly down, and press the lock lever down with one finger while you remove the empty cartridge from the assembly. Slide the new TN360 toner cartridge into the drum unit until the lock lever snaps back into place. Before you install the assembly back into the machine, take a moment to clean the corona wire at the rear of the drum assembly. The small tab can be slid back and forth a few times, then snapped back into place. Slide the assembly back into the printer, and you can close the access panel. Once you turn the printer back on, it should recognize the new TN360 toner cartridge, and you are ready to print. The Brother TN360 toner cartridge is compatible with over 15 different Brother models, including personal digital copiers like the DCP-7030 series, personal and small office laser printers like the HL-2140 through HL-2170 series, and even small multifunction laser models like the MFC-7320 and MFC-7840W. For a complete list of Brother TN360 compatible printers, see the “Fits Printer Models” tab.